Tomato hornworm caterpillars are very common pests in North America. 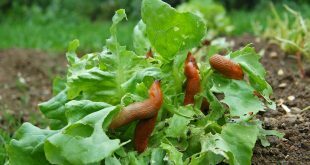 These little pests will eat the most of your popular veggie plants such as tomatoes, potatoes, peppers or eggplants. The worst part, do you know how they do it? Well, they hide in your crops because their coloring just blends in with the plants they pillage. However, tomato hornworm caterpillars look quite large and flashy so are not quite invisible. Hence, you could definitely do something about this specific pest control. 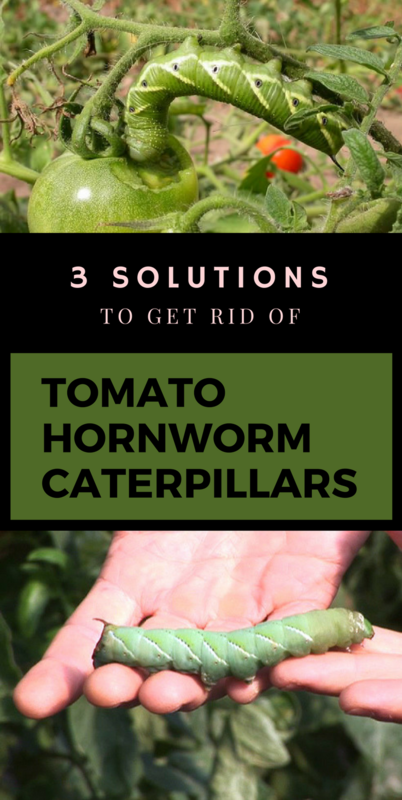 Thus, keep reading and see the best 3 solutions to get rid of tomato hornworm caterpillars. Furthermore, you might find these little pests in midsummer, when you also need to act immediately. If you don’t put a stop to it then, they will ruin your crops. Thus, in this article, I would like to share with you some of the solutions I know they work to deal with these pests early and efficiently. Read on to learn more. All you have to do is mix 1 oz in 1 gallon of water. Neem retains its potency much longer if you store it at about 40 degrees F in low light. 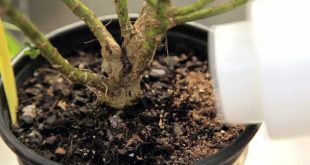 Also, you need to make sure you don’t mix any more than you need because it can become harsh on your plants. Also, add water and a little soap such as castile before you spray on the plants. Use a garden sprayer to completely cover the plant including the undersides of the leaves and potting media. 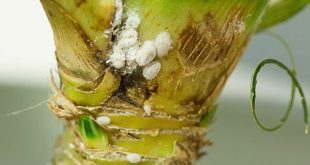 This organic pesticide consists of a form of bacteria that is very effective in poisoning young caterpillars but has no effect on other garden fauna. 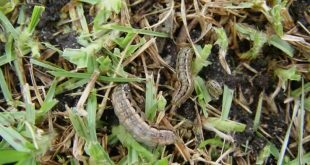 The strain of Bt that is known as Thuricide is an excellent choice for controlling hornworms. You simply mix the liquid or powdered concentrate with water and spray your tomato plants with it early on to catch hornworm caterpillars before they can do much damage. 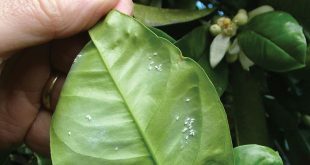 Because this solution is caterpillar-specific, remember that it will also kill butterfly caterpillars, so apply it carefully and keep it away from your butterfly garden and individual plants that butterfly caterpillars enjoy. 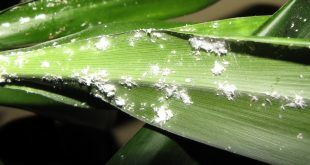 Try spraying your plants with a solution of dish soap, cayenne powder, garlic, and water. This spray mixture causes the caterpillars quite a bit of distress. They’ll move around trying to get away, and you will be able to see them and catch them. Just drop them into a bucket of soapy water to finish the job. 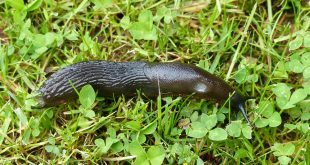 Wear gloves when picking off hornworms by hand because they will attempt to defend themselves by spitting dark brown liquid onto your hand.